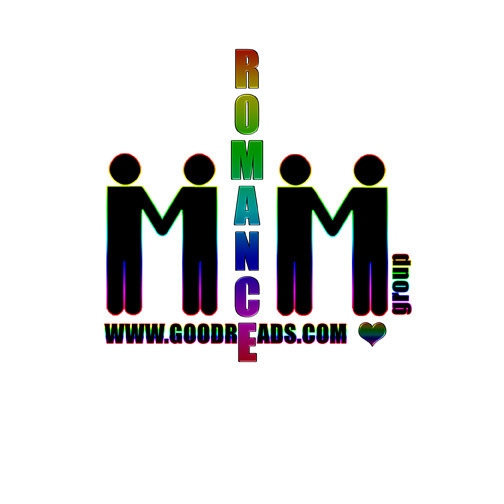 This entry was posted in Book Giveaways, Book Reviews, Book Tours and Contests, Books, Contemporary fiction, eBooks, LGBTQ Book Reviews, M/M Book Reviews, M/M Contemporary Fiction, M/M Fiction, m/m holiday stories, M/M Romance, Uncategorized and tagged #newholidaybookrelease #OldAcquaintance #giveaway, @AJacobs_fiction, a M/M Holiday Romance, author Annabelle Jacobs, Old Acquaintance by Annabelle Jacobs, Signal Boost Promotions. In Bitten by the Alpha we were introduced to two young women, weres whose bond was being denied by one’s Alpha (and father. It was an important secondary storyline as Rachel Tregarrak would end up being sent away from her pack to the Regent’s Park Pack to act as a temporary Beta and standin for Gareth’s unit. The readers learned to love her and her would be mate Sara, separated by Sara’s father’s hidebound rules and pack regulations regarding female roles. The author had done such a great job with these characters and their heartbreaking dilemma that we needed to know more and we wanted a resolution. 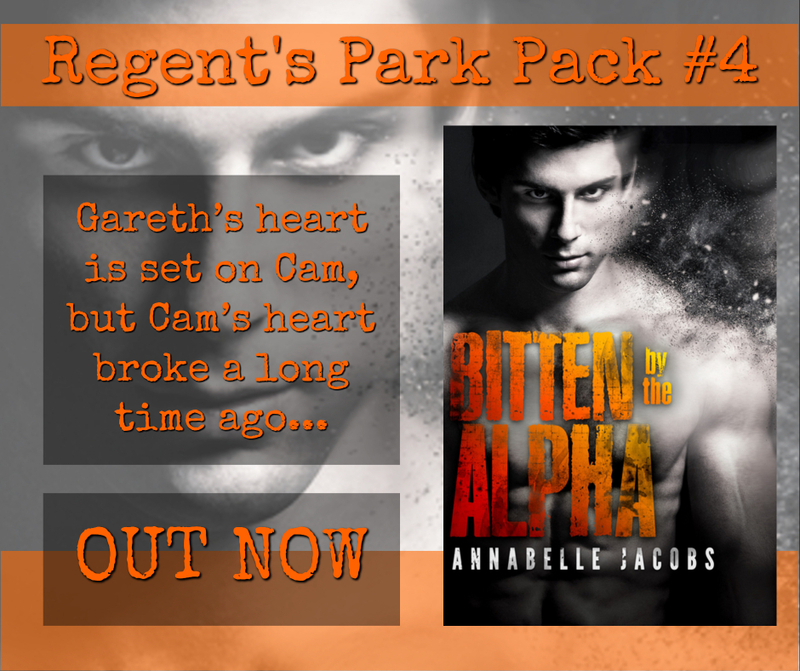 Bitten By Her (Regent’s Park Pack #4.5) is Annabelle Jacobs answer for everyone’s begging for their story. It’s everything I was waiting for and more. Surrounded by familiar characters from previous stories, we get Rachel and Sara’s story from the moment they meet under the full moon and everything goes disastrously wrong. A mate bond denied, a deep pain that doesn’t fade and two women sent away from their territories to keep a bond from forming. Told from two points of view, their separation and incomplete bond is wrenchingly vivid. Even as two factions, Sara’s grandmother and part of the Council and Cam, Alpha of the Regent’s Park Pack, work to bring the two women together without starting a pack war, the reader feels every bit of the pain and heartache of the cost of the separation. Even as both need to find a way to continue on day by day, especially Rachel in her important duties as Beta in a unit that needs her. Jacobs does a marvelous job with the characterizations as always and the tension and drama here is off the charts. I love the connection and chemistry between Rachel and Sara. They were perfection. Sara’s grandmother, the Council, and all of the Regent’s Park Pack included here just bring this story to life. This is an amazing series and I can’t wait to see who has the next story. Bitten By Her was an absolute delight to read and it satisfied all my expectations for Rachel and Sara’s story. If you’ve been following this series, than this is a story you won’t want to miss. None of these are standalones and work within the Regent’s Park Universe. Read them together to get all the relationships and connections. I recommend them all. Cover art: Natasha Snow. That’s a wonderful cover. I love the picture of Rachel and Sara with foreheads touching. That’s moving and perfect for the story. This entry was posted in Book Reviews, Books, eBooks, LGBTQ Book Reviews, Uncategorized and tagged A MelanieM Recommended Novel, A MelanieM Review : Bitten By Her (Regent’s Park Pack #4.5) by Annabelle Jacobs, author Annabelle Jacobs, Bitten By Her (Regent’s Park Pack #4.5) by Annabelle Jacobs, F/F Supernatural Romance, F/F. Lesbian romance, Regents Park Pack series by Annabelle Jacobs, shfiters, weres. 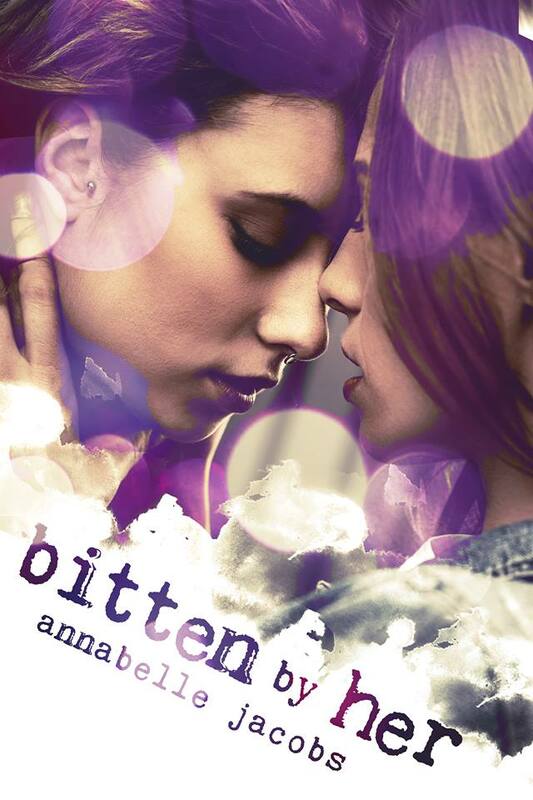 This entry was posted in Book Giveaways, Book Reviews, Book Tours and Contests, Books, eBooks, LGBTQ Book Reviews, Uncategorized and tagged @AJacobs_fiction #newbookrelease #BittenbyHer #giveaway, author Annabelle Jacobs, Bitten By Her (Regent’s Park Pack #4.5) by Annabelle Jacobs, F/F Supernatural Romance, Lesbian romance, Regents Park Pack series by Annabelle Jacobs. Butterfly Assassin is a story written in one of this author’s favorite universes of mine, that of the Regent’s Park Pack series. 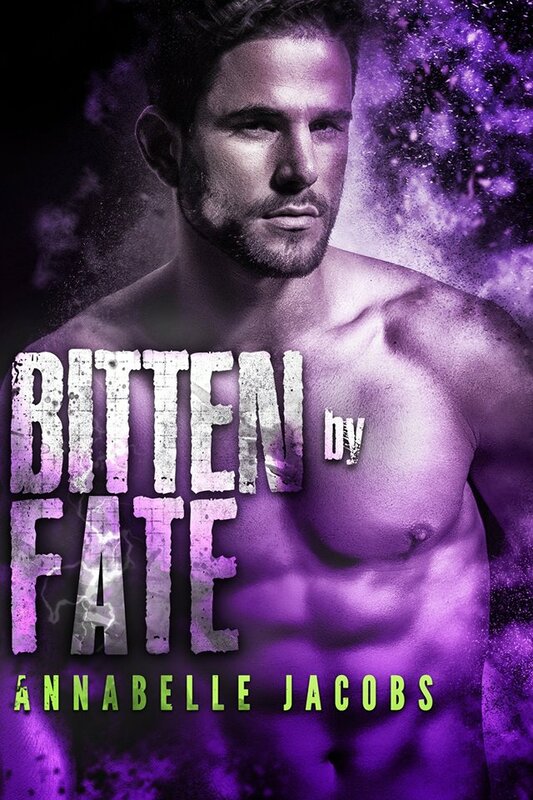 It’s an ongoing wolf shifter series that just keeps getting better with each couple and story so I was delighted to see a standalone novel set in that universe pop up as a new release. There are a few crossover characters (the scary Council) but mainly this murder mystery has it’s own wonderful group of shifter and human pairings and characters to get acquainted with. Like the members of the Clapham Common Pack such as Aaron, Harry, Sam (shifters) and the human crew of the Shifter Task Force (Michael Archer and his partner Frank Coldwell to name the most important). There are, of course, so many more here. The story begins in the illegal world of the underground fights. Aaron’s best friend has gotten himself deep into this world via betting and brought Aaron along with him. Now Aaron is know as the Butterfly Assassin, an “unbeatable human fighter”, a problem in itself as Aaron is a wolf shifter. And a wolf fighting a human? Illegal in so many ways on top of the illegal fights. Jacobs brings this gritty, bloody world alive along with the way a wolf’s super senses make the scene awash with unpleasant odors and sounds. While I loved this aspect, the rest, including Harry and Aaron’s relationship takes a while to track. That makes connecting the murders and delving into the meat of this story a bit of a delay. More of this universe gets filled out which I love. 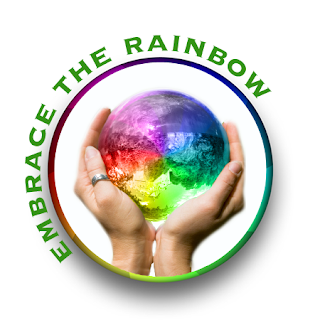 The biting to save a life, the rules and regs governing shifters and humans. It all makes the series foundation is more solid. Although, once it happens…it zings! However, what does hold this back from a bit of a higher rating is the comparison to a more recent story in the Regent’s Park Pack series. And it’s a couple comparison…the other couple is even brought up here. I’m going to go into a bit of detail so maybe you can see why this story leaves me a bit sad. 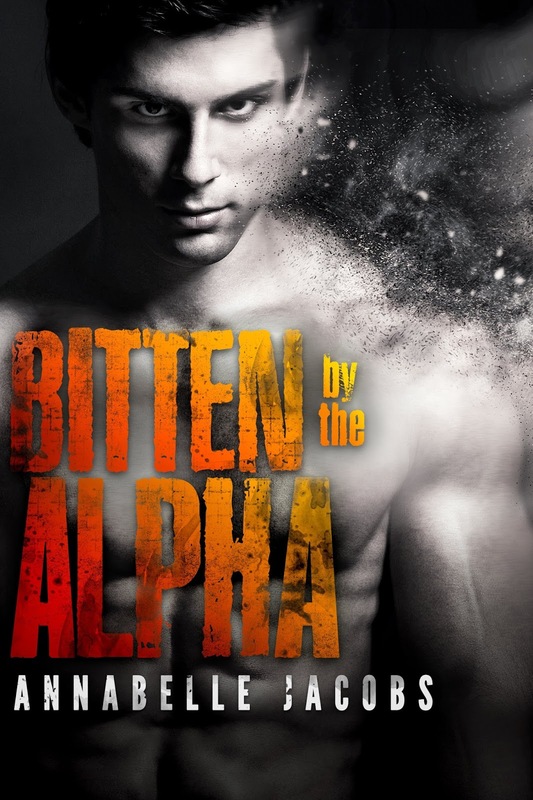 In book 4, Bitten by the Alpha, Alpha Cam had lost his human wife in the shifter wars and vowed never to love again. But he fell in love with his Beta, Gareth, they mated and bonded in this story. During which Cam admitted that while he loved his human wife deeply, finally bonding with a wolf shifter was like nothing he had ever felt before. He finally felt complete because he could now “feel” his mate through the mate bond. In other words, it was something he now knows he was missing his human wife, and the love he had felt for her was pale in comparison for the love he now felt for Gareth. Here the couple is again a shifter and a human who doesn’t want to be turned, so they will never have that mate bond between shifters. They even mention Cam and his wife as an example of it working. But if you read Cam’s story, you know that really, Cam now realizes he never had a “true” love as much as he did love her, he and his wolf were always missing something. That knowledge sort of haunts this romance for me. True both Aaron and Michael are only at the very beginnings of their relationship but Michael seems firm in remaining human. So HFN but what future? For me this was a hot romance. I loved the couple but honestly wondered what the future held for them both. I would like to see if Annabelle Jacobs played with this pack again. There were several open ends here. What happens to Wilson? And Harry seriously needs someone to take him in hand before he gets in trouble again. So yes, I really liked this story. The mystery was terrific. Full of suspense, great action, and really fast pace! If you haven’t read the other stories, that lack of bond might not bother you as it clearly does me. They are a great couple. And yes I do recommend this story. Cover art: Garrett Leigh at Black Jazz Design. I love this cover. Broody, hot, and totally Aaron. 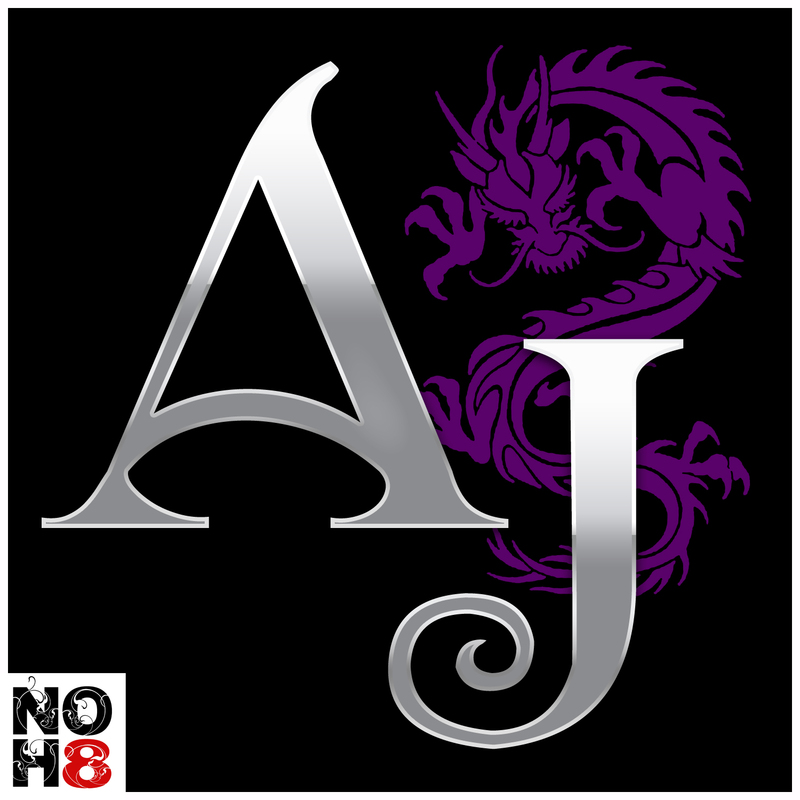 This entry was posted in Book Reviews, Books, eBooks, LGBTQ Book Reviews, M/M Book Reviews, M/M Fiction, M/M Paranormal Fiction, M/M Romance, M/M Supernatural Fiction, Shifters, Weres, Uncategorized and tagged A MelanieM Review: Butterfly Assassin by Annabelle Jacobs, author Annabelle Jacobs, Butterfly Assassin by Annabelle Jacobs. 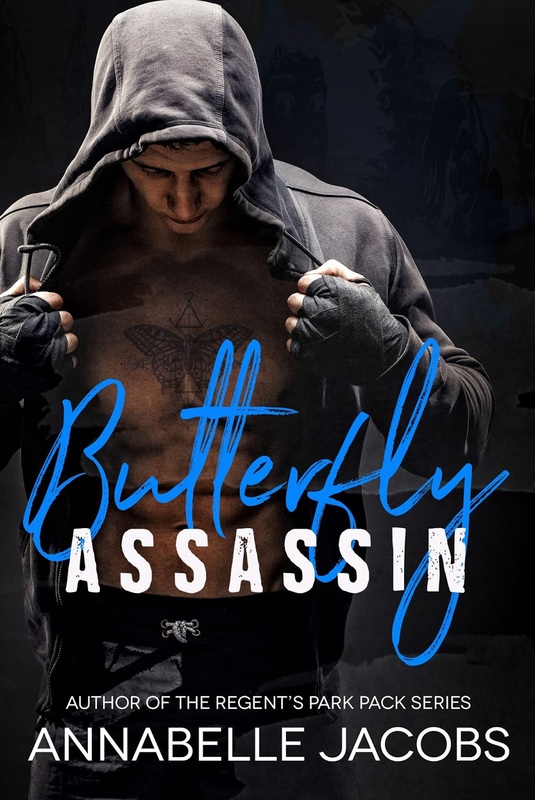 This entry was posted in Book Giveaways, Book Reviews, Book Tours and Contests, Books, eBooks, LGBTQ Book Reviews, M/M Book Reviews, M/M Fiction, M/M Paranormal Fiction, M/M Romance, M/M Supernatural Fiction, Shifters, Weres, Uncategorized and tagged @AJacobs_fiction #newbookrelease #ButterflyAssassin #giveawau, author Annabelle Jacobs, Butterfly Assassin by Annabelle Jacobs, Regent’s Park pack story, Signal Boost Promotions.